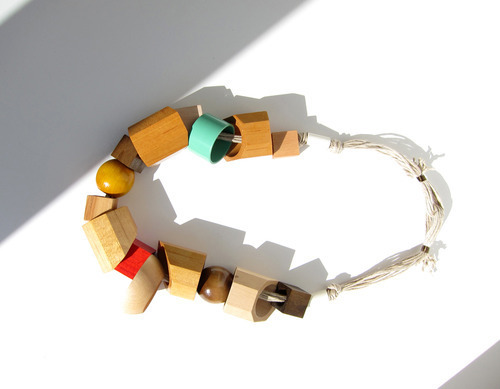 Block + Necklace = Blocklace. 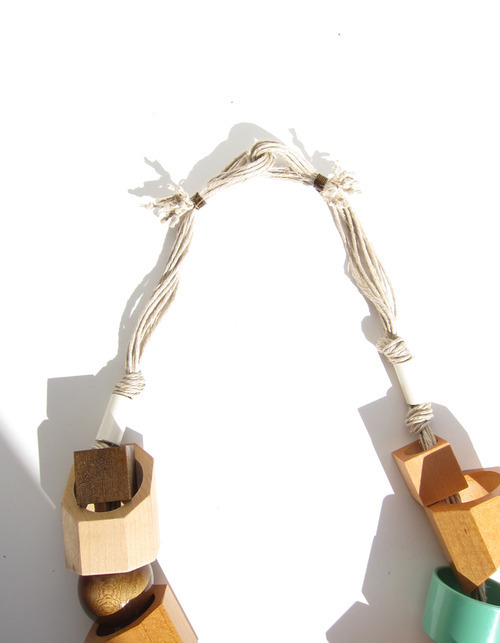 Another version in this series of a necklace showing an assemblage of process. 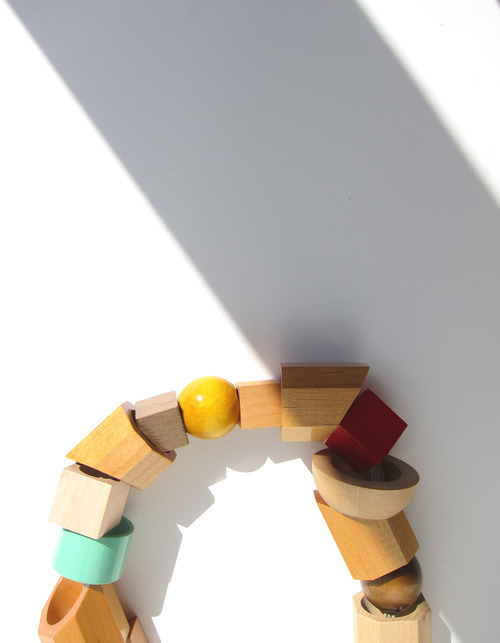 Re-purposed wood pieces cut from salvaged banister parts treated with homemade shellac (Shellac is a nartural resin secreted by the female lac bug on trees in the forests of India and Thailand.). Adding in some vintage beads and melanin rings for color popping. Maple wood blocks (shellacked, dyed, oiled and natural), melanin ring, vintage ceramic beads on hemp cording with brass wire wrap.